London, 25th September 2018 — Community Brands, an industry leader in cloud-based software for schools, associations, nonprofits and faith-based organisations, today announced the acquisition of Groupcall, a trusted provider of communications and data analytics solutions for schools, multi-academy trusts, local authorities and education software developers, with 70 employees and a head office in London. Groupcall specialises in data aggregation and analytics, identity management, payment and parental engagement software for primary and secondary schools in the U.K. Data plays an increasingly important role in education management, but many schools struggle with collecting and using data to improve operations, particularly in cross-department and multi-site environments. Groupcall addresses these challenges with easy-to-use solutions. Community Brands is the leading provider of cloud-based software to associations, nonprofits, K-12 schools and faith-based groups. Through innovation and technology, the company empowers more than 100,000 clients and partners to succeed faster, grow stronger and achieve social good. Organisations adopt Community Brands software to manage memberships, career centers, learning, accounting, mobile giving, peer-to-peer fundraising, donations, admissions, enrollments and events. Using these engagement platforms, customers of all sizes create meaningful and lasting experiences for their members, donors, volunteers and families. Headquartered in St. Petersburg, Florida, USA, Community Brands serves the social good community in more than 30 countries. To learn more, visit communitybrands.comor follow us on Twitter and LinkedIn. Launched in 2001, Groupcall provides data, communication, analytics and identity management solutions to schools, local authorities and multi-academy trusts. 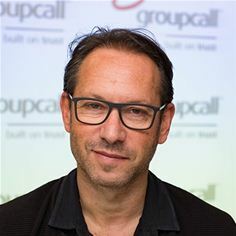 Co-founded by Sir Bob Geldof, Groupcall is one of the education sector market leaders with products in over 20,000 U.K. schools. Groupcall has launched a number of award-winning products that increase attendance, improve child safety, enhance parental engagement and support senior leaders to get more value from their data. Groupcall technology also powers the Child Rescue Alert system in the UK. Learn more at groupcall.com, or follow Groupcall on Twitter and LinkedIn.